self-organisation is a high-level property that emerges from the underlying network, not a feature of any of the individual components. This has interesting consequences. 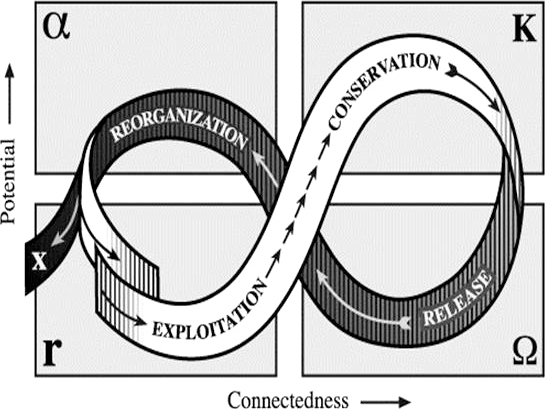 Where any part of the mechanism is sensitive to the environment, the whole self-organising loop can be too. 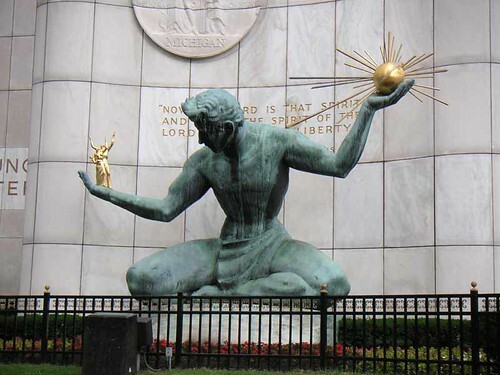 Detroit: a city fit for superheroes? Chatting with my young son this evening it occured to us that superheroes require certain types of cities, certain kinds of urban form, in order to thrive. 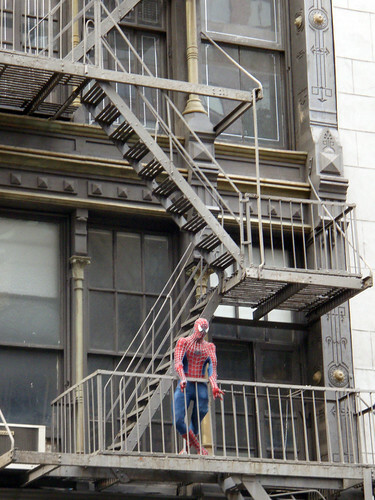 Spiderman needs tall buildings closely packed in order to leap between them. The Hulk needs impressive edifices to knock down. Only certain types of urban form are fit for superheroes. 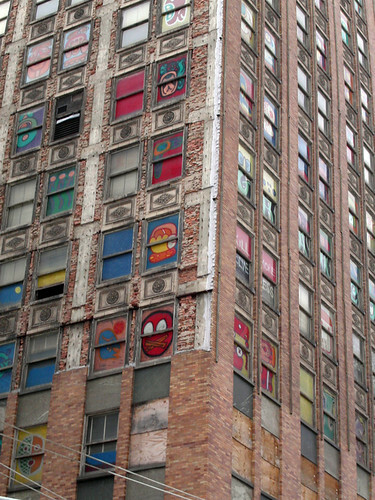 There’s a new documentary about the rise and fall and return of Detroit. The director of Requiem for Detroit? , Julien Temple, was fascinated by the idea that Detroit was at the leading edge of American urban for many years, leading the rest of America into the future. Now Detroit is doing it again, showing us what the first post-American city looks like. Will it be a city fit for humans? A nice article by Howard Silverman of People & Place on the links between climate change, cultural theory and the myths of nature identified by the Resilience Alliance. A confession: I visited the Great Barrier Reef a couple of years ago and it was the most stunning experience of my life. The beauty, intricacy, diversity, were amazing. The experience of immersion in this underwater world was and is vivid – literally alive. But I felt profoundly uneasy participating iin the industrial system that got me there – plane flight, chain hotel, large, fast motor boat. In order to appreciate the beauty of what we’re destroying we need to destroy it a little bit more, it seems. Environmental writer Chris Turner addresses this dilemma head on in a marvellous piece for Canada’s Walrus Magazine, The Age of Breathing Underwater. Justice cannot be done to the piece here – you need to read it for yourself. He focuses on the work of Australian coral expert Dr Charlie Veron, author of A Reef in Time, who, as Turner tells it, fights to save the Reef, even as he affirms it cannot now be saved. Ocean acidification has gone too far already. What lies in the human heart on the far side of hope is the subject, then, of Turner’s article. Thanks for staying put while my computer had a very big melt down, while I reset my system with Ubuntu, and while floods and storms meant my broadband connection was down for several days. It’s enough to make me embarrassed to be mentioning the phrase ‘resilient systems’. But fear not, Fourcultures is back online and what passes for normal service will continue very soon…. 1) Scale is crucial. Just as there isn’t a single rationality but four, neither is there a single scale. At one scale of operation, one of the four cultures may be dominant, and may seem to be a good fit with the landscape, but at other scales other cultural biases may be a better fit. See the work of ecologist Buzz Holling on this. 2) Similarly, time is also crucial. The social-ecological model of Holling and others in the Resilience Alliance suggests that ecological succession has a social counterpart. 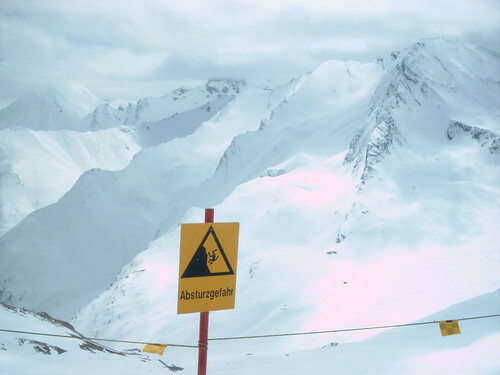 What appears optimal at one moment will become less optimal as time changes the environment, so that alternative problems arise, leading to alternative solutions and alternative institutions. 3) The ability to defect is also crucial. I have been quite taken with a cellular automata problem called the density classification problem. In short this seems to suggest that even in simple mechanistic systems, total knowledge is impossible. This means there is always room for the dominant answers to be wrong and for defectors from the main view to get it more nearly correct. Given that a) social-ecological systems are far more complex than cellular automata and b) evolution has fine-tuned human responses to problem solving, it seems possible that human society is an environment which rewards a dominant viewpoint without punishing too severely a minority of dissidents. This month Four Cultures is going to be considering Resilience and its connection with Grid-group Cultural Theory. By Resilience I mean the cross-disciplinary scientific approach inspired by the work of Canadian ecologist Buzz Holling, and promoted in a number of places, especially through the Resilience Alliance and through the Stockholm Resilience Centre. There’s a video of him from his award of the Volvo Environment Prize in November 2008. Economist Bernard Lietaer has an interesting paper on handling the current financial crisis. It’s based on the interplay between efficiency and resilience. Lietaer’s main point is that in going all out for efficiency, economic managers have failed to pay attention to the importance of resilience, which requires such seemingly ‘inefficient’ features such as redundancy. He is also concerned with the very idea of a general equilibrium theory in economics, when financial systems are, for him, better seen as being in dynamic disequilibrium. From Growth to Resilience – Changing Perspectives on Regional Development.